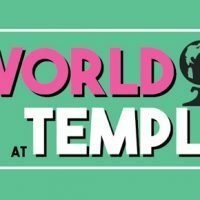 The World at Temple is the first and only TUTV talk show that’s aimed at international students at Temple University. For the pilot, international students from all around the world come together to discuss their experiences at Temple and their lives at home. Ksenia Berestetska from Ukraine, Rithik Gangwani from India, Lei Zhao from China, and Ayah Alkhars from Kuwait share their stories. Zhao also demonstrates how to make dumplings.